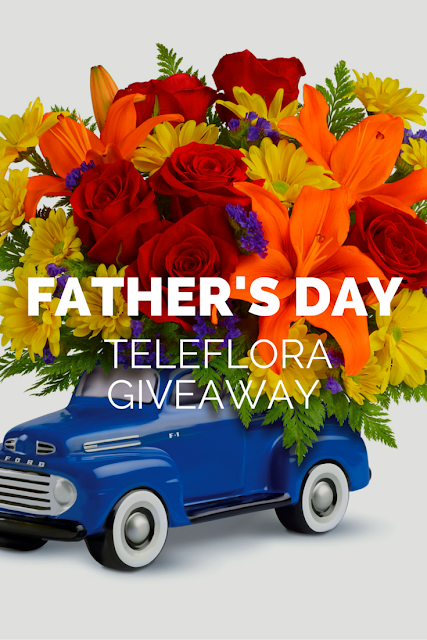 To celebrate the fathers in our lives, Teleflora has a NEW Father’s Day bouquet that will surely be a hit with Dad’s this year. 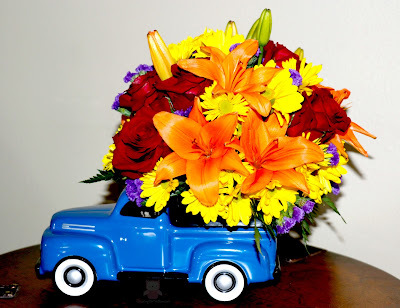 The Vintage Ford Pickup Bouquet by Teleflora. Celebrate dad's special day with this classic '48 Ford Pickup, bursting with a colorful bouquet of roses, lilies and mums. In bold blue, this hand-painted ceramic collectible is a one-of-a-kind gift he'll always treasure.